Pancreatic cancer is when a tumour is formed in your pancreas. It is the result of the development abnormal cells that grow out of control. Cancers of the pancreas are commonly identified by the site of involvement within the pancreas. These different cells also have different functions. More than 95% of pancreatic cancers are classified as exocrine tumours. These tumours start in the exocrine cells that make pancreatic enzymes that help in digestion. Within this category, the vast majority of tumours are adenocarcinomas. There are many other subtypes of pancreatic exocrine tumours. Pancreatic neuroendocrine tumours are either functional (produce hormones) or nonfunctional (produce no hormones). The majority of PNETs are nonfunctional tumours. Once again there are many other subtypes of pancreatic exocrine tumours. 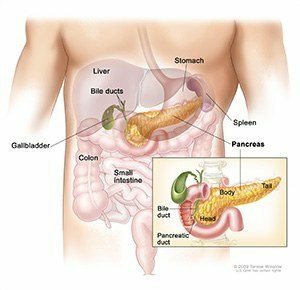 The pancreas is an organ that sits in the abdominal cavity behind the stomach. The pancreas is part of both your digestive and endocrine system. Involves the secretion of digestive enzymes that aid the digestion and absorption of nutrients in the small intestine. Involves the production of several hormones, such as insulin, glucagon, somatostatin and pancreatic polypeptide. How Does Pancreatic Cancer Affect Your Body? What are the signs or symptoms of Pancreatic Cancer? Pancreatic cancer symptoms depend on the site of the tumour within the pancreas and the degree of tumour involvement. Light-colored stools or dark urine. There are no noticeable signs or symptoms in the early stages of pancreatic cancer. The signs of pancreatic cancer, when present, are like the signs of many other illnesses, such as pancreatitis or an ulcer. The pancreas is obscured by other organs in the abdomen and is difficult to visualize clearly on imaging tests. To appropriately treat pancreatic cancer, it is crucial to evaluate whether the cancer can be resected. Minimally invasive techniques, such as laparoscopy and laparoscopic ultrasound may be used to decrease the use of laparotomy. Some studies indicate a positive peritoneal cytology result is a positive predictor in determining unresectability. No tumour-specific markers exist for pancreatic cancer. Markers such as serum cancer antigen (CA) 19-9 have low specificity. Most patients with pancreatic cancer will have an elevated CA 19-9 at diagnosis. over time an increase of CA 19-9 levels may identify patients with progressive tumour growth. The presence of a normal CA 19-9, however, does not preclude recurrence. What treatment choices or options are available for Pancreatic Cancer? 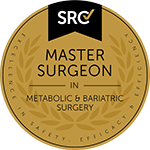 Surgical approaches differ for masses in the head, body, tail, or uncinate process of the pancreas. 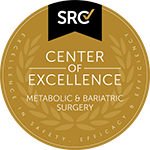 Surgical resection is the mainstay treatment for Pancreatic Cancer. It provides a survival benefit in patients with small, localized pancreatic tumours. Patients with unresectable, metastatic, or recurrent disease are unlikely to benefit from surgical resection. What alternative treatments are available for Pancreatic Cancer? Pancreatic tumours are resistant to treatment with chemotherapy and radiation therapy. How will my life change after Pancreatic Cancer Surgery? For most patient Postoperative Care Plan are focused on palliative Care. Treatment for the reduction of symptoms may be achieved with various conventional therapies. Surgical or radiologic biliary decompression. Relief of gastric outlet obstruction. Psychological care to address the potentially disabling psychological events associated with the diagnosis and treatment of pancreatic cancer. What are the Range of Recovery outcomes after Pancreatic Cancer Surgery? Whether the tumour is localized and can be completely resected. Whether the tumour has spread to lymph nodes or elsewhere. Exocrine pancreatic cancer is rarely curable and has a poor overall survival rate. The highest cure rate occurs if the tumour is truly localized to the pancreas, however, this stage of disease accounts for less than 20% of cases. For patients with localized disease and small cancers (<2 cm) with no lymph node metastases and no extension beyond the capsule of the pancreas the post-operative survival rate improves. Where a complete surgical resection is successful a 5-year survival rate for one quarter of patients is possible.